Happy New Year guys. We made it!! Did I tell you guys about my holy grail perfume last year? No? Well now, y'all know. It is the Guess, seductive perfume. Usually when I buy a new perfume, and I use it the first couple of months I automatically start to hate it. My people, I have used this perfume now for close to a year and I am still loving it. I am not very good at describing smells but I will say this one has that "grown woman" smell (Bey voice)..lol no! but really it smells so good and it's long lasting. 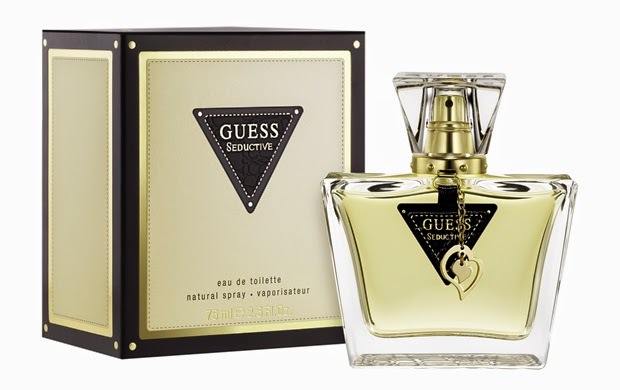 I got mine at my local Guess store but I'm sure it can be found at any fragrance store near you. What is your favorite fragrance/perfume ? hahahaha reallly ?? I like it a lot and trust me I've bought a lot of perfumes...expensive, cheap. This one seems to work the best for me no matter what mood I'm in..lol what is your favorite perfume? Sounds like a nice feminine scent from the way you desceibed it, not much of a "guess perfume" person , but I like the bottle.. Happy New year to you , thanks for visiting my blog,I just followed you on GFC. You're welcome and yea the bottle is actually what drew it to me at first. Thank you for following my blog. Ok great! Let me know your thoughts on it if you try it. I need to try this!!!! Thank you so much for following my blog dear, I'm following you now too! My all time fav perfume is Lady Million by Paco Rabanne. I find that I can use it at anytime and keep re buying it. Hahaha, you are so funny. No worries, i get it :). When i find a fragrance or more that i like, i stick with it.